Welcome to La Orotava, the hilliest town in Spain. Its elevation ranges from sea level on the Rincón beaches to 3,718 metres at the top of Mount Teide volcano, the highest point in Spain and which last erupted in 1798. 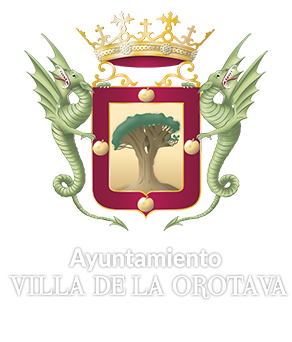 It’s thought that the name "Orotava" comes from the word "Arautápala", which is what the Guanche natives of the Canary Islands called this place. After the conquest, it was given the title of town by King Felipe IV in 1648. You're invited to discover the town through two different routes: Secret La Orotava, or the Blue Route; and Legendary La Orotava, or the Green Route. Each route takes approximately an hour and a half at a normal pace. There are different things to see along each one. If you have time, we suggest that you do both routes separately so that you can explore all the places, legends and secrets that La Orotava cherishes. Along the way, you’ll find round gold plaques embedded in the ground. Each plaque shows the trail number in the colour of the route to which it belongs. When you find these plaques, press the corresponding trail number. If you don't have much time, you should only do one route. The Municipal Tourist Office staff will gladly help you pick the best one to suit your interests. There are also brochures and other materials available at the office to help you make your decision. Please bear in mind that La Orotava is full of hilly streets with steep slopes and descents. Legendary La Orotava, or the Green Route, is generally less hilly. By contrast, Secret Orotava, or the Blue Route, offers a more adventurous tour with panoramic views from the highest peaks. Embark upon the routes during normal working hours to ensure that as many places as possible are open. Churches are usually open during hours of worship. Don't forget that there is a pause button and a repeat button for the last 10 seconds on the player for your convenience during the tour. Both routes are packed with wonderful places and surprises. Simply press the route of your choice and let's walk together through La Orotava.